The latest League of Legends Champion Spotlight video coming from developer Riot Games is centered on one of the meanest, greenest battlers to ever be released: Zac, the Secret Weapon. This amorphous creature may look like an overgrown version of Flubber, but don’t let his less-than-solid appearance fool you. Zac is a dangerous health-based castor with some elements of a tank. He can also be a powerful jungler, which is what Riot seems to be selling him as in its latest post. 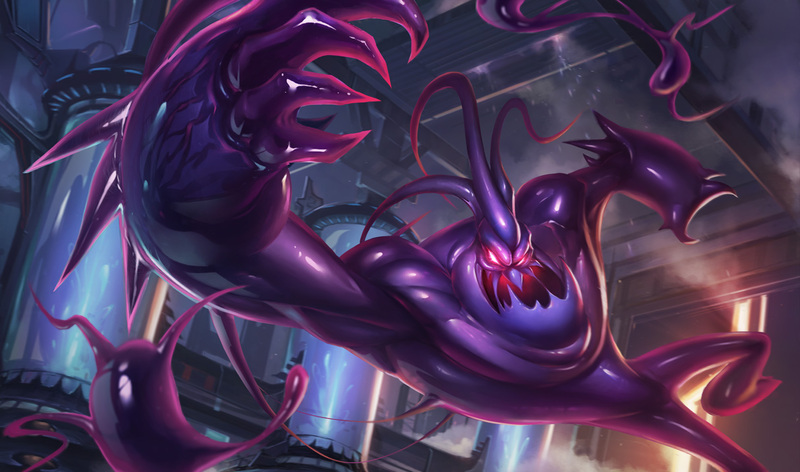 Zac quickly tears through monster camps using a combination of high-sustain mechanics and potent area damage. With a little setup, Zac also has some of the longest range initiation potential to date, enabling a variety of particularly devious ganks. Add in a powerful AoE ultimate and you’ve got one boisterous blob that’s ready to lead the charge on the Fields of Justice. Go forth, young summoner. Be confident, even if at times, it aint easy being green. Who, out of all the Champions released, is your favorite? Are you going to give Zac a try? Let us know what you think by leaving a comment below!